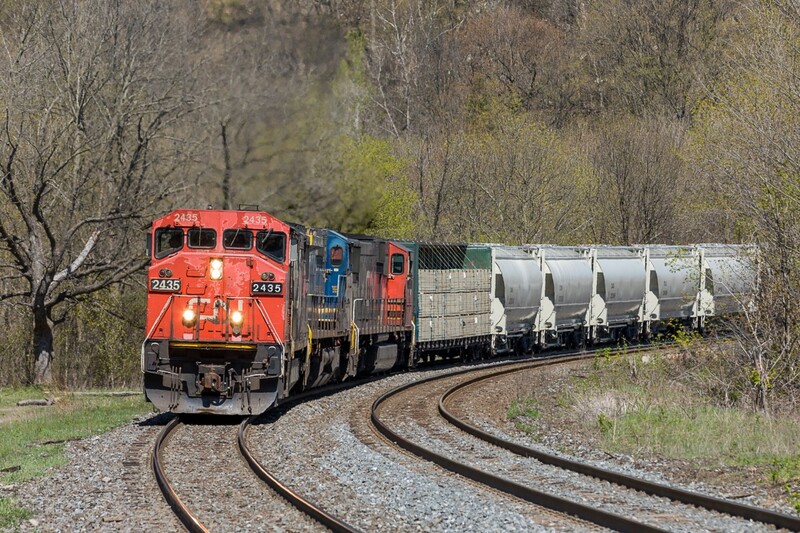 Railpictures.ca - Ryan Gaynor Photo: CN train no. 435 sweeps through the curves at Dundas, Ontario with an assortment of power that has become increasingly common as of late. | Railpictures.ca – Canadian Railway Photography – photographie ferroviaire Canadienne. Caption: CN train no. 435 sweeps through the curves at Dundas, Ontario with an assortment of power that has become increasingly common as of late.